Part starchitect, part hermit, Ricardo Bofill is one of the most disruptive architects of his generation. “Architecture is the victory of man over the irrational: the construction of a familiar, domestic, human space,” he wrote in 1989, musing on his practice, which now spans over 56 years. 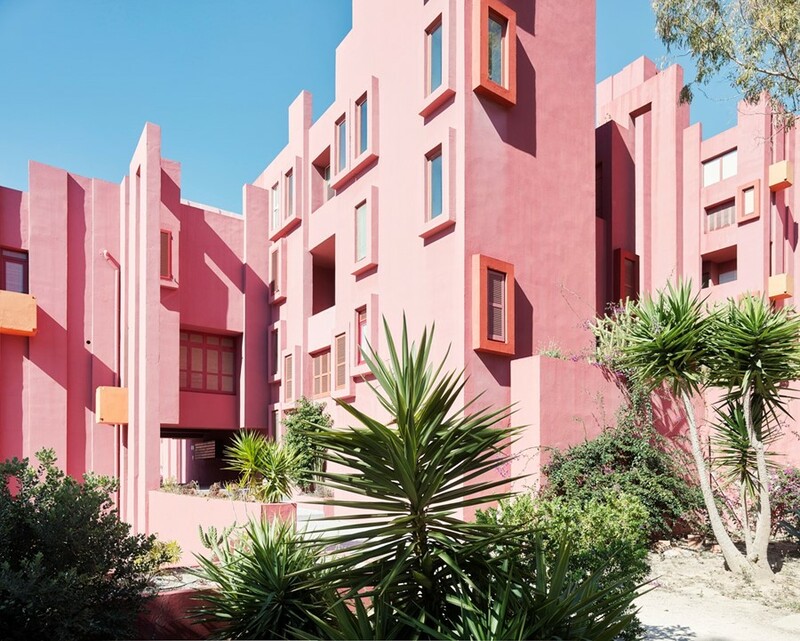 He and his diversely disciplined collective, Bofill Taller de Arquitectura, who continue to work today, are infamous for the fascinating portfolio of housing projects they designed and built for the French state. The architecture community and general public were left startled by the unprecedented application of monumental classical language, which they completed at a scale never before seen. As discussed, dissected and detailed in publisher gestalten’s new ode to the architect, Ricardo Bofill: Visions of Architecture, The Taller was once described as “the strangest, the most exciting, the most original group of architects anywhere in the world,” known as much for the unorthodox team they had created, including architects, economists, critics, and poets, as they were for the buildings. Here, we take a look at five of their most iconoclastic designs. Even if you don’t know this project by name, you’ll probably have seen it: from fashion images to blockbuster films (remember it from The Hunger Games?). 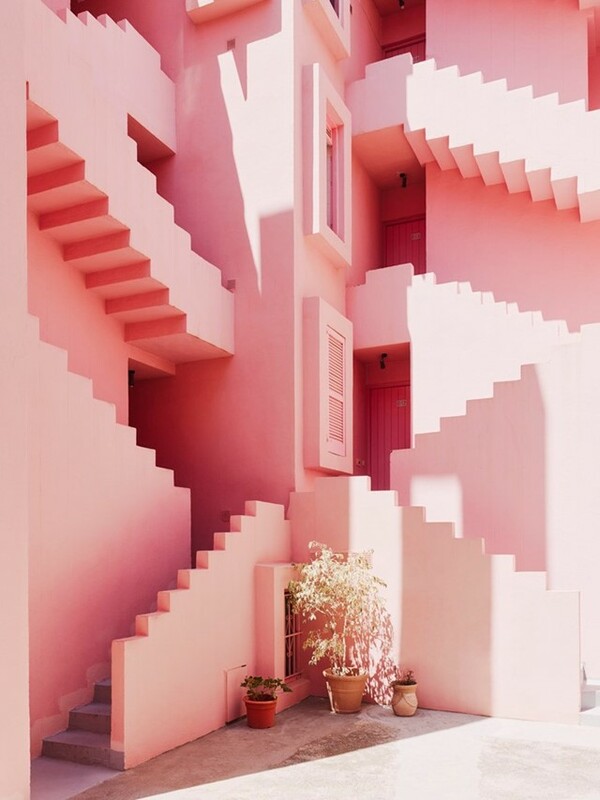 Juxtaposing cotton-candy colours with the firm reassurance of Bofill’s signature geometric style, La Muralla Roja is a dream-like citadel perched on top of the cliffs of Spain’s Costa Blanca. Bofill designed this fortress for families and tourists alike, paying close attention to centuries-old regional archetypes. It is arguably his most famous work and certainly one of his most photographed. While intended to house admirers of the area, the eye-popping edifice presents an intimidating and impenetrable face to the outside world. 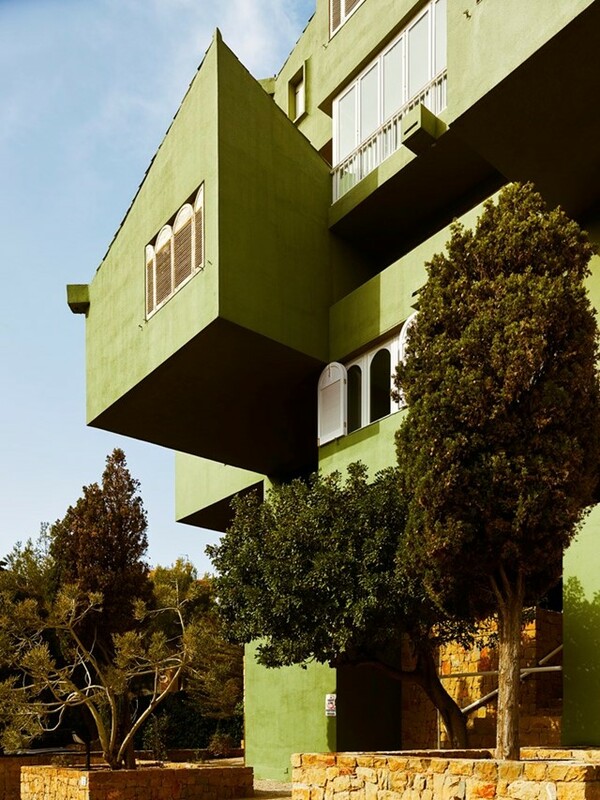 This idea, of an imposing residential development protected from the world outside, was entirely Bofill’s and pays homage to the architectural culture of the Mediterranean region. “The Mediterranean is a beautiful part of the world but it is also where many wars and conflicts have happened,” he explains, referring to centuries of invasions and inland attacks. 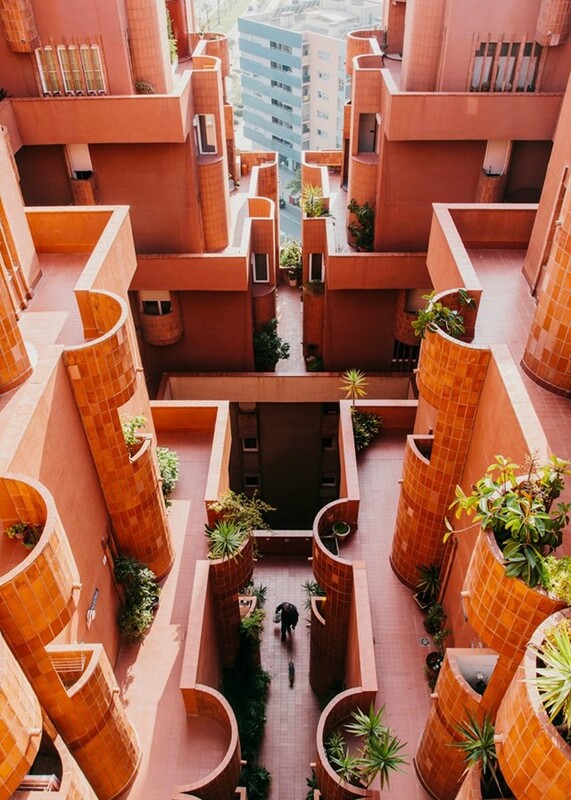 The product a multidisciplinary approach to architecture, Bofill’s dune-hued modular housing project Walden 7 is a collective response to one primary question: how can the built environment mould human behaviour to create something close to a utopia? Inviting sociologists, poets, philosophers, and mathematicians into the Algerian desert, including his sister and fellow architect Anna Bofill, English architect Peter Hodgkinson, literary critic Salvador Clotas, the economist Julia Romea, and poet José Agustín Goytisolo, the architect and his motley crew of intellectuals birthed this brave new housing concept for a brave new world. Inspired by the group’s desire to create la ciudad en el espacio (the city in space), the answer to their questions appeared as a sprawling stack of modular 30-square-meter living units, each cell twisted slightly, relative to the units below, unveiling communal spaces. Bofill explains, “It represented an alternative to the block system – that is to say it broke up the zoning system from an urban point of view.” He continues, “it broke up the construction of blocks and high-rise towers of the Le Corbusier system”. 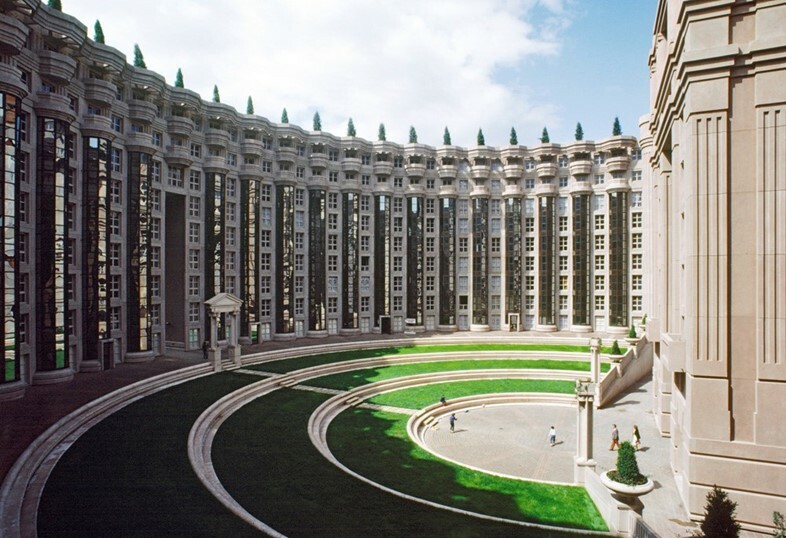 Completed in 1982 in the then-new town of Marne-la-Vallée, on the outskirts of Paris, Les Espaces d’Abraxas is a 47,000-square-metre housing project. 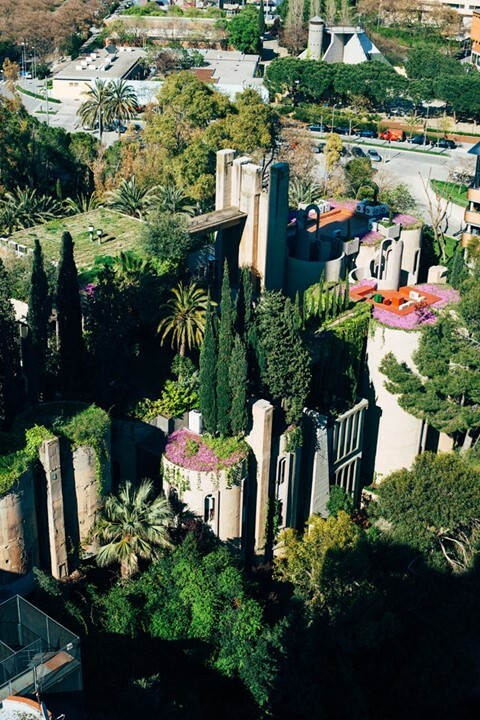 The love child of Bofill’s passionate affair with geometry and symmetry, the monumental architecture of the development emerges from the ground with the poetry of theatre, but in the form of almost 600 apartments and performative public spaces. Having withdrawn from Europe in the early 1970s to develop new theories and concepts, the architect admits that the opportunity for a new project in the suburbs of Paris rekindled a burning a desire to build, in the most primitive sense: “I was beginning to understand how vital it is for an architect to build. Theory and design are necessary but insufficient elements for someone wishing to take part in the history of architecture. Out of these contradictions, then, this project arose and, along with it, the vision of a new working method,” says Bofill. The Xanadù apartment building is just one of a number of developments that collectively form La Manzanera, a coastal enclave in Spain’s eastern region of Alicante. Designed exclusively bt Ricardo Bofill Taller de Arquitectura over a period of 20 years, and these holiday living resorts constitute an eclectic range of vacation apartments with access to a host of private beaches, swimming pools, bars, restaurants, and sports facilities. Both Xanadù and La Muralla Roja (which also forms part of this family of buildings) can be seen as early expressions of the ‘city in space’ concept that the Taller began fully articulating at the beginning of the 1970s and apply on a monumental scale in the ville nouvelle (new town) schemes commissioned by the French government. Ricardo Bofill: Visions of Architecture is published by gestalten.